Hello, Hello everyone, Good Morning to you all, Or Evening, Or Afternoon, Or Whatever time it is to you! Today I’m bringing you another compilation of the Original 151 Pokémon. According to the info on this work, it took up to 25-30 Hours “January to July” to complete it. 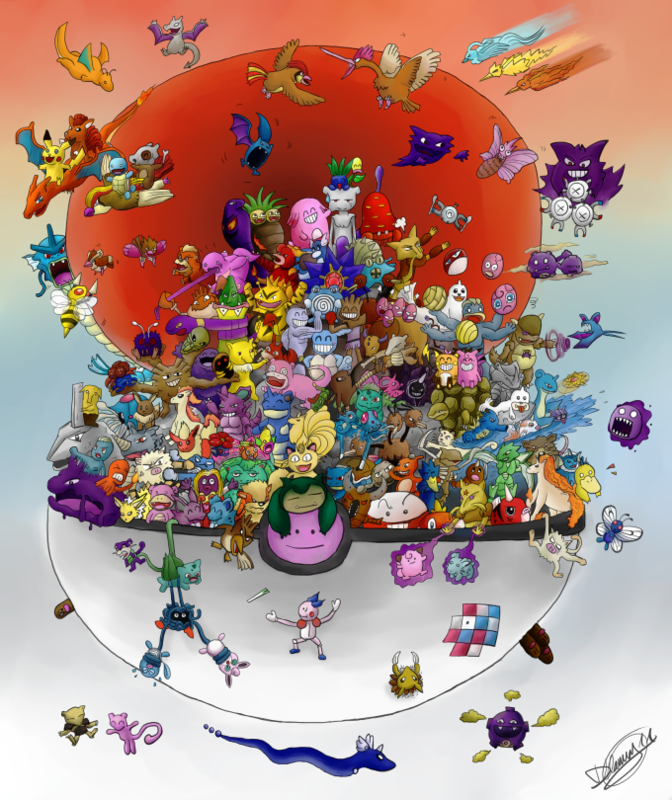 My favorite part about this is the Ditto in the Pokéball’s center / button. To me it symbolizes that since Ditto can transform it can be any of the Pokémon that surrounds it. I also really enjoy how each Pokémon has an emotion, from their outrageously smiling faces to Snorlax’s sleepy face! Well that’s it for this week’s Saturday Sketch. Check back next week for a Black and White themed Sketch, since it’s coming up on the 1 year Anniversary in the United States since its release.